Product categories of Metal Injection Mold, we are specialized manufacturers from China, Metal Injection Mold, Injection Mold suppliers/factory, wholesale high-quality products of Precision Injection Mold R & D and manufacturing, we have the perfect after-sales service and technical support. Look forward to your cooperation! Die Casting – What is it? The basic die casting process consists of injecting molten metal under high pressure into a steel mold called a die. Die casting machines are typically rated in clamping tons equal to the amount of pressure they can exert on the die. A complete die casting cycle can vary from less than few seconds for small components weighing less than an ounce to two-to-three minutes for a casting of several pounds, making die casting the fastest technique available for producing precise non-ferrous metal parts. Die casting can be produced in nearly every conceivable size and shape – from the smallest electronic component requiring precise engineering and weighing less than one gram, to the largest automotive part requiring durability and strength. Die casting provides the freedom to design intricate configurations because knowledge about the die casting process ensures that the components will maintain their integrity through disassembly, repair, re-manufacture, and re-assembly. The die casting process results in castings with extremely close tolerances and reduced draft angles, often eliminating the need for finish machining operations. Aluminum alloys have proved ideal for a wide range of products because of the unique combination of qualities they possess: light weight, good corrosion resistance, high tensile strength, high dimensional stability, high thermal and electrical conductivity. Alloy 380.0 aluminum die casting alloy, has been found meet customers` various needs. Importantly, SKS can also cast aluminum alloys 360, 390, and 413. Die casting with zinc-base alloys is one of the most efficient and versatile production methods to manufacture accurate, complex, and detailed metal components. In general, the mechanical properties of zinc alloy die castings at normal temperatures are superior to sand castings of grey iron, brass, and aluminum, particularly in toughness and impact strength. They are much stronger, tougher, and more dimensionally stable than injection molded plastics. Many components normally manufactured in iron, copper, aluminum alloys, or plastics can be produced as zinc alloy die castings. These show improved properties, often at reduced cost. 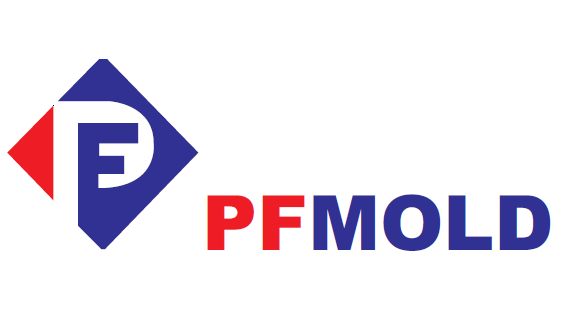 PFMOLD can cast Zamak #3, #5, #7, ZA8, ZA12, and ZA27. Zamak is characterized by excellent retention of impact strength and long-term dimensional stability. It has been used for decades in a multitude of engineering applications and the properties and performance are excellent. Please contact us to review your project`s requirements.